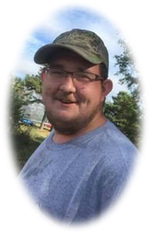 Roger Jones Obituary - Newport, Arkansas | Jackson's Funeral Homes Inc.
Obituary for Roger Jones Jr.
Mr. Roger C. Jones, Jr., of Newport Arkansas, departed this life on Monday, January 7, 2019, at the age of 22. He was born February 22, 1996 in Newport, the son of Roger Jones, Sr., and Virginia Wright Jones. Roger was a delivery driver for the family owned Jones Home Furnishing, and a member of Newport First Baptist Church. He was an avid outdoorsman, who enjoyed hunting, fishing, and raising dogs. Roger was preceded in death his grandfathers, Troy Daniels and Lloyd Wright; and great-grandparents, Essie and Norman White and Mattie and Lloyd Jones. He is survived by his father, Roger C. Jones, Sr., of Newport; his mother, Virginia (Wright) Jones and Ernest Daniels of Amagon; his paternal grandparents, Jimmie and Joyce Jones of Newport; his maternal grandmother, Dora Wright of Amagon; two sisters, Lisa Jones of Newport and Abigail Place of Little Rock; five uncles, Rickey White and wife, Tammy of Amagon, L.W. Wright of Amagon, Chucky Wright of Amagon, Dalton Wright and wife, Jennifer, of Amagon, and Blake Jones of Maryland; one nephew, Seth; three nieces, Caroline, Tabitha, and Elizabeth; many cousins and friends. Friends may visit at the funeral home, Friday, 6:00-8:00 p.m. Funeral services are 10:00 a.m. Saturday at Jackson’s Newport Funeral Home Chapel with interment in Memory Garden Cemetery at Johnstown. Those honored to serve as pallbearers are Montrel Anders, Johnny Ray Ball, Hunter Misenheimer, Billy Reynolds, III, Doug Tims, B.J. McKinney, Scotty Gutherie, and Lonnie Woods. Honorary pallbearers are Billy Reynolds, Jr., and Frank Barger.